Current comptroller and mayoral underdog John Liu, in an attempt to get noticed, has suggested New York City legalize and tax the sale of marijuana to fund education. In his complete proposal, released today, Liu estimates that weed could bring in $400 million in revenue for the city because, as it turns out, drugs are pretty pricey around here. To illustrate that fact, the plan includes this helpful infographic breaking down average price by “brand,” although no stoner on staff spoke up to tell them kush is typically spelled with a k.
We have no satisfactory way of confirming these price quotes. In general, quoted prices appear to be higher in New York City than in other parts of the country. If accurate, it may reflect the higher incomes of New York City consumers, higher costs of doing business in the City, or supply constraints. 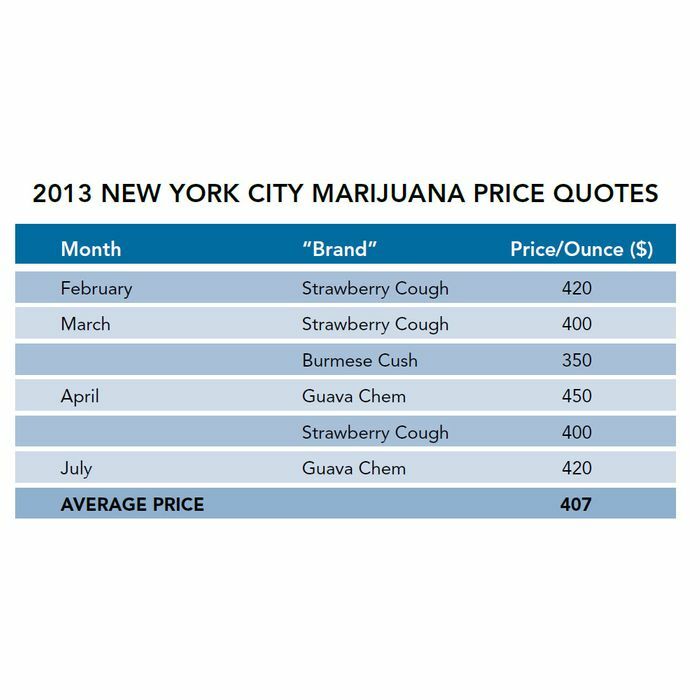 Unlike other cities, we found no New York City-specific price quotes for lower grades of marijuana. If New York City users of lower quality marijuana are less likely to provide price quotes, this estimate will overstate the average market price. And before anyone gets the wrong idea, Liu says he’s never smoked marijuana, despite being spotted recently riding a skateboard with some proficiency. “I have never accepted that kind of correlation between skaters and this culture that you’re referring to,” he told Politicker.